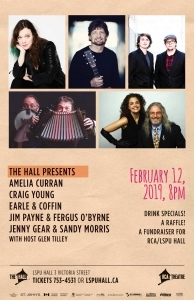 The Hall Presents: A Musical Fundraiser for the Resource Centre for the Arts! 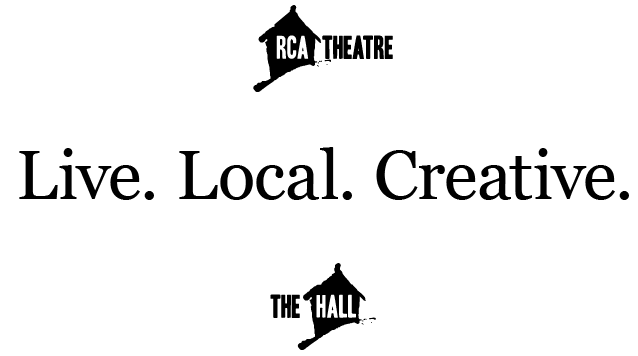 Featuring: Amelia Curran, Craig Young, Earle & Coffin, Jim Payne & Fergus O’Byrne, and Jenny Gear & Sandy Morris. Hosted by Glen Tilley. There will be drink specials and a raffle. All proceeds will go towards the Resource Centre for the Arts/LSPU Hall.